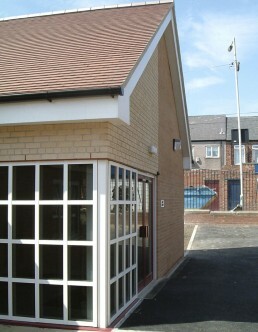 Refurbishment of an existing Primary School in Sunderland to upgrade the facilities available for Sure Start. The project presented challenges working on a tight site and restricted budget. © Dunwoodie Architects 2017. All rights reserved.